Cancún is a stunning beach paradise in the Yucatan Peninsula, Mexico. It includes more than 700,000 residents, and is one of the country’s top tourist destinations, drawing nearly 4 million visitors each year. Cancún offers you the opportunity to explore its 14 white beaches, numerous resorts and many nightclubs! 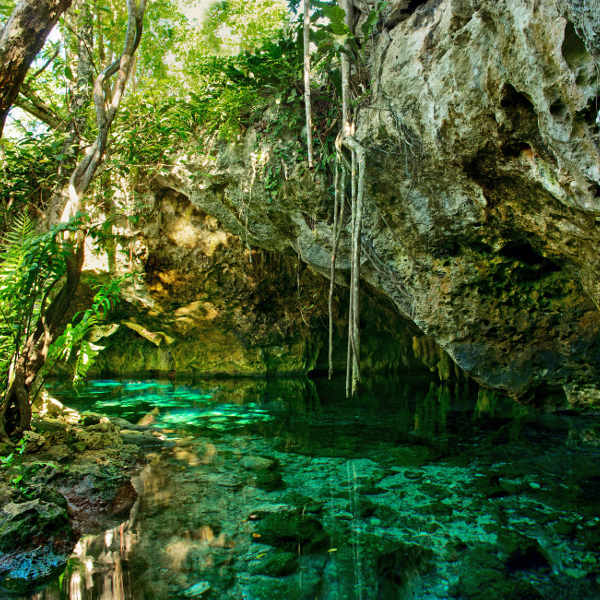 Leading attractions include Xel-Ha Park, Coba and Isla Contoy. Cheap flights to Cancún are now available for a limited time, so prepare to be dazzled by this city’s iconic beaches and natural beauty! Cancún is home to the Cancún International Airport (CUN), which is a 20-minute drive from the city centre. 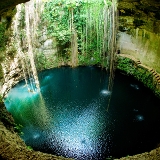 Surrounded by some of the most beautiful beaches in the world, as well as tropical green jungle, Cancun is a scenic treat for nature lovers. Enjoy the finest local Mexican cuisine in Cancun’s restaurants and sip on authentic margaritas as you watch the sun go down, before hitting the town for a night out. Cancún’s 14 beaches contribute a great deal to the city’s reputation as a holiday destination. Experience them all for yourself for a memorable Caribbean vacation. Cancún’s tropical climate results in it being warm all year round. 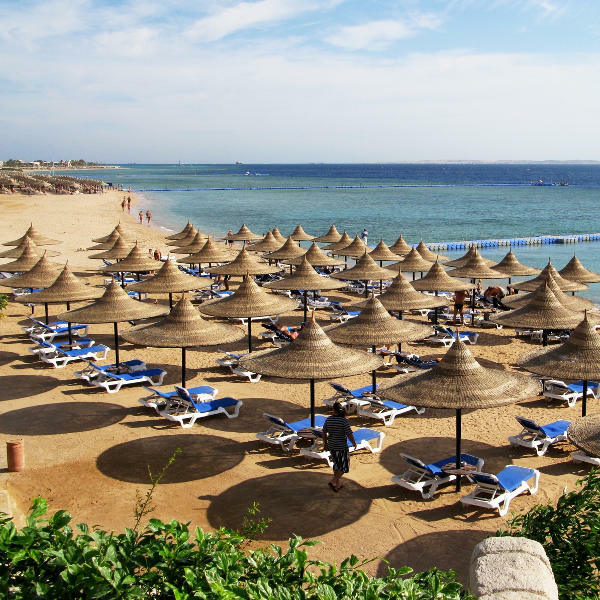 Peak tourist season occurs from December to March, when the weather is at its best. The beaches are usually crowded which can be unpleasant. Hurricane season runs from June to November, and it is advised to thoroughly check weather conditions during this time before making a final booking. The ideal time to visit Cancún is the period between April and May. This is low-season in Cancún, and the tourist crowds will have dispersed by then. Temperatures are not as hot as during November to March, but are still pleasantly warm. Cancún offers you an exciting Caribbean holiday experience. 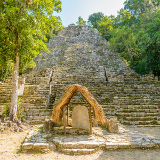 This coastal city is famed for its alluring beaches, a wealth of thrilling activities, an adrenaline-pumping party scene, and the insight it offers into the culture of the Mayans. A visit to this Mexican coastal paradise will fill you with a desire to return again and again. A destination that is proudly family-friendly, Cancún offers plenty of exciting activities for adults and children, including snorkelling, swimming with dolphins and cave exploration. An underwater coral-reef museum, interactive aquarium and nearby Mayan ruins will keep curious minds well-entertained. Of course, the most popular Cancún pastime is relaxing on the incredible beaches, soaking up some sun or swimming in the perfect, blue waters. When night falls, enjoy the vibrant party scene that Cancún offers. 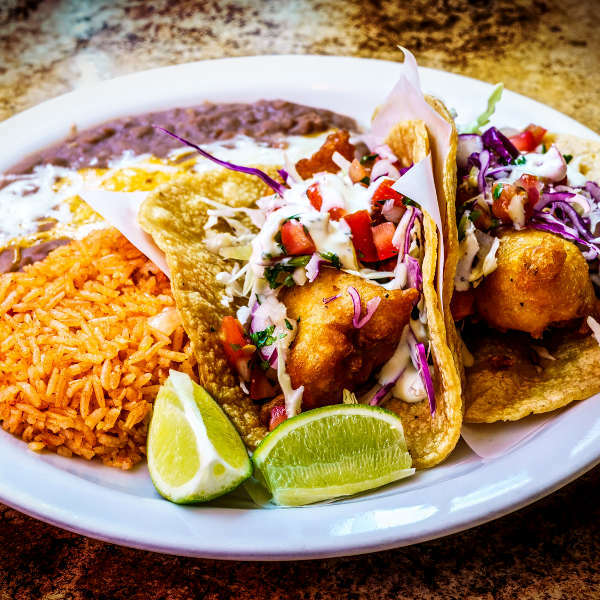 Sip on a margarita, satisfy your appetite with the local cuisine at one of many restaurants or dance to the rhythmic Latin tunes at a local club. Compare several airlines and book your cheap flights to Cancún online at Travelstart! Cancun is one of the busiest, most tourist-frequented cities in Mexico, and thus enjoys a high police presence and relatively low crime rate. Most tourists do not venture further than the busy downtown area unless accompanied by local friends or family. Petty crime can occur in the city and on the beach, so remain vigilant of your possessions and do not leave handbags and expensive accessories unattended. Do not leave drinks unattended in restaurants and bars. Be wary of scammers at the airport offering “free accommodation” or “free transportation” to arriving tourists. Most visitors coming to Cancún are coming for the incredible weather and beaches, and will no doubt want to be within walking distance to the beach. Tourists wishing to do so should look for accommodation in Cancún’s “Hotel Zone”, located along the beachfront strip, and within walking distance to restaurants, bars and coffee shops. Visitors working on a stricter budget, or simply wanting a quieter, less busy stay, should avoid the Hotel Zone and look for accommodation in Downtown Cancún. Located just twenty minutes from the beach front, this less-touristy side of Cancún offers accommodation at more affordable rates, and is no less exciting, filled with plenty of restaurants and clubs. The cheapest method of transportation in Cancún is by public bus. The bus system follows routes all around the city, and operates 24/7. Taxis are a faster, alternative option for getting around. Note that you will be charged more if you stand outside your hotel and flag down a taxi, than if you walk down the street and do so. Taxi rates are posted in most hotels for visitors to see. If you are unsure and don’t want to get overcharged, ask your local hotel for their estimation of your destination fare. Other options for quick transportation include bike hire, car rental and moped rental (not recommended for safety reasons due to Cancún’s bustling traffic).